After twenty years, the story of Natalie Wood's extraordinary life and mysterious death is revealed in a riveting new biography We watched her mature on the movie screen before our eyes in Miracle on 34th Street, Rebel Without a Cause, West Side Story, Splendor in the Grass, and on and on. She has been hailed, along with Marilyn Monroe and Elizabeth Taylor, as one of the top three movie actresses in film history, a legend in her own lifetime and beyond. But the story of what she endured, of what her life was like when the doors of the soundstages slid closed, has long been obscured. Natasha is based on years of exhaustive research into Natalie's turbulent life and mysterious death. Suzanne Finstad conducted more than four hundred interviews with Natalie's family, close friends, legendary costars, lovers, film crews, attorneys, police officials, and Dr. Thomas Noguchi, the coroner who investigated her strange death by drowning. Finstad has reconstructed a life of emotional abuse and exploitation, of almost unprecedented fame, great loneliness, and loss. Finstad tells this tragic beauty's story with sensitivity and grace, revealing a complex and conflicting mix of fragility and strength in a woman who was swept away by forces she could not control. 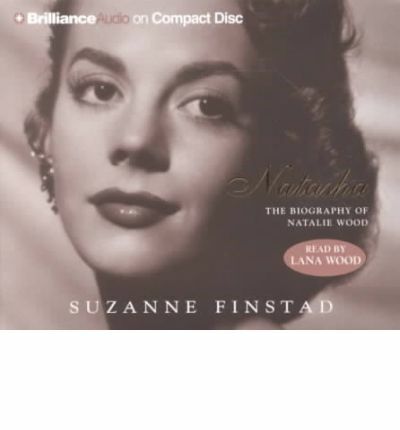 Natasha is the definitive biography of Natalie Wood.